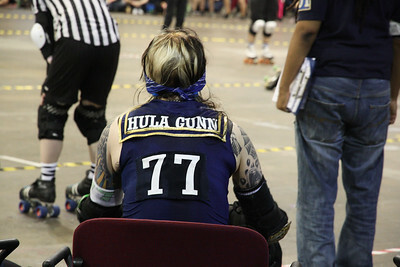 Recently a friend invited me along to watch the Season 3 Championship Final as her team, Harbour Grudges, was competing. 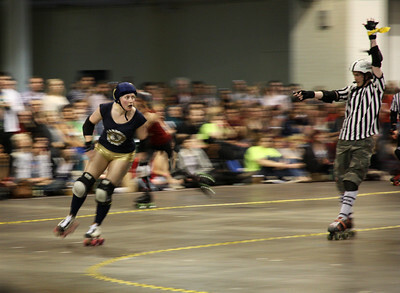 Having never witnessed the sport before, I was absolutely amazed by the speed, agility and flippin' fearlessness of the rollergirls – it was an exhilarating experience! 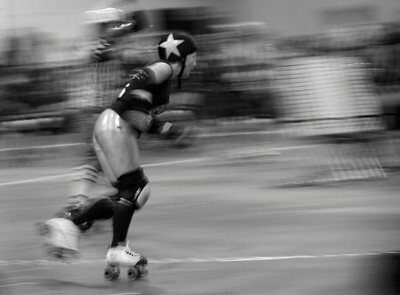 From a photographic point of view (pardon the pun), it was a great chance to play with my panning technique and the cool pseudonyms and uniforms made for some nice stills too. 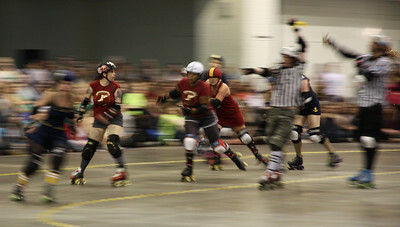 Game play consists of a series of short match ups (jams) in which both teams designate a jammer (wearing a starred helmet cover) who scores points by lapping members of the opposing team. 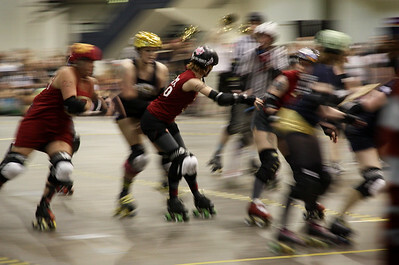 The teams attempt to hinder the opposing jammer while assisting their own jammer - in effect, playing both offence and defence simultaneously. 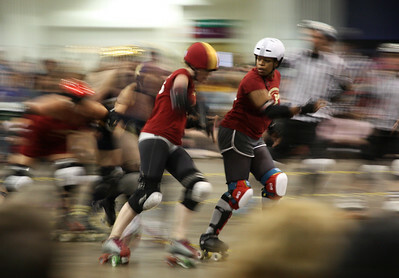 The London Rollergirls (LRG) is an all-women flat track roller derby league and not-for-profit organisation based in London, England and is the oldest all-female roller derby league in the United Kingdom. 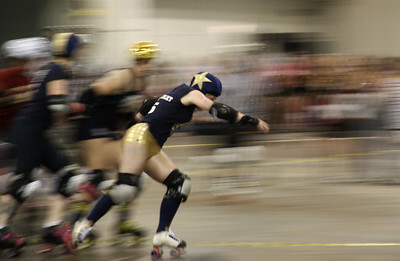 The skater-owned and run league, founded in 2006, play by the rules of the Women's Flat Track Derby Association (WFTDA). 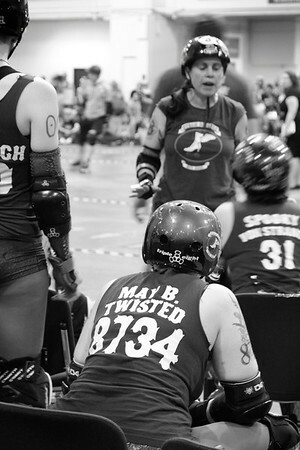 The London Rollergirls have an all-star travel team called London Brawling, whose name is inspired by the song 'London Calling' by UK punk rock band The Clash.